Kotaku previously reported that Japanese model company Kotobukiya had made one-to-one scale plastic parts for a Border Break mecha model. It has now been put together. 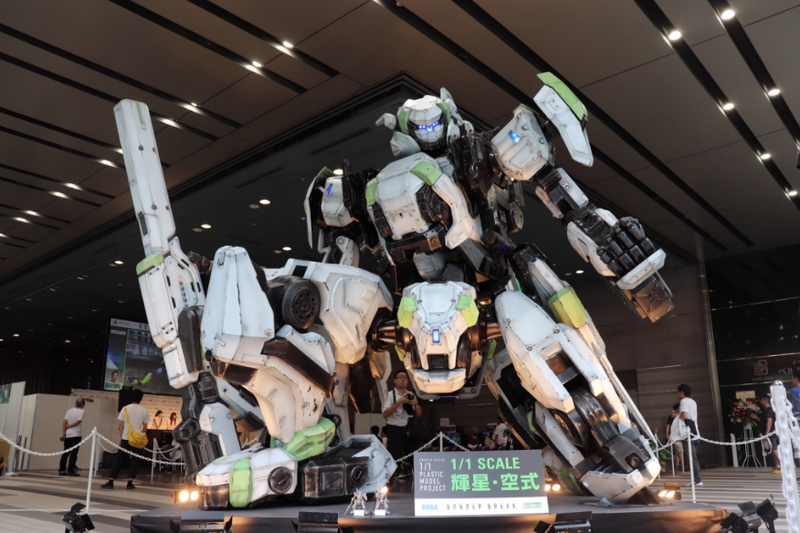 According to Kotobukiya, this was to be the largest one-to-one scale plastic model ever. The parts were on runners in Shinjuku Station in Tokyo. They had to be cut out, and then the plastic model was painted and put together. Here is the finished model, unveiled in Tokyo. Looks like some fancy lighting was added.